Neversink Reservoir Fleet received by Frost Valley YMCA and funded by Catskill Watershed Corporation with support from NYC Department of Environmental Protection. HarborLAB’s fleet for Neversink Reservoir program fleet of ten kayaks (Ocean Kayak Malibu 2 XL tandems) and five canoes (Old Town Saranac 160), life vests, and paddles have arrived! 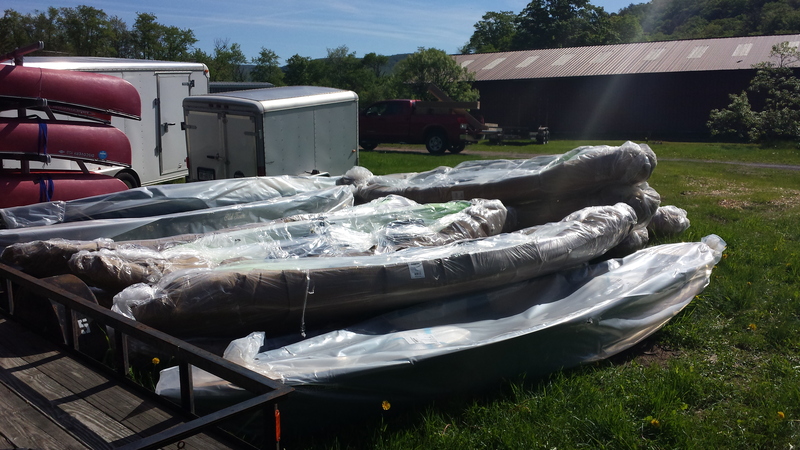 Many thanks to the Catskill Watershed Corporation for the grant that purchased these boats and the NYC Department of Environmental Protection for its support of the program! Many thanks to Johnson Outdoors for making this great community amenity affordable! The Frost Valley YMCA received the boats, for which we’re also grateful. HarborLAB is working to arrange safety training and environmental educational programs with the Frost Valley YMCA. We need volunteers and sponsors to make the most of this opportunity! Email support@harborlab.org or volunteer@harborlab.org to help, with the subject, “Neversink.” THANKS!